I was fortunate to have designed sound with some fantastic final year animation students this year. 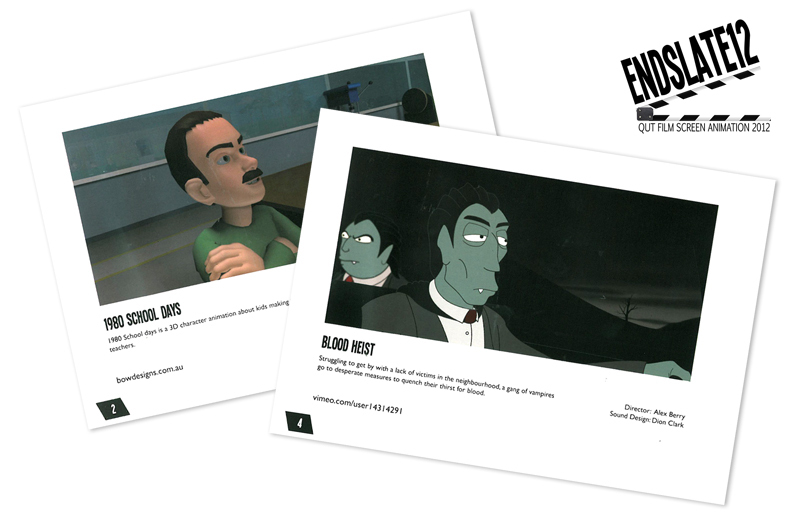 The resulting animations were recently screened at Endslate 2012, the QUT Film, Screen, and Animation showcase. Two of the animations, Erratus and Wanderers, were even nominated for a peoples’ choice special screening. My aim with these animated works was to involve sound early in the production process so as to achieve an more cohesive result for sound and vision overall. In all cases this goal was achieved. It was highly rewarding to work with with such a creative and diverse group of animators, and the resulting works are of a very high standard. 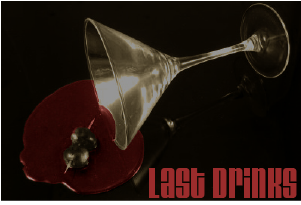 Check out the animations here on this site, or on the phatco vimeo page. 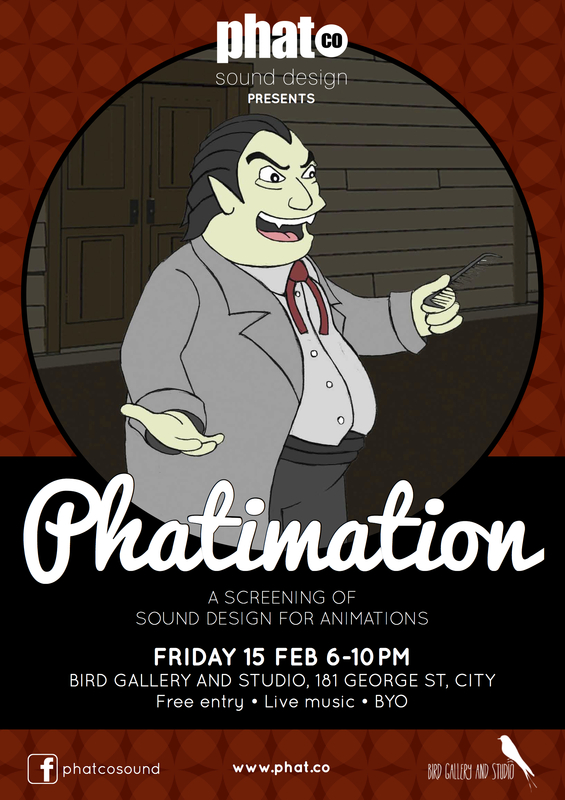 Stay tuned for some special screenings of the the animations, as well as my other sound design work coming up at Bird Gallery and Studio George Street Brisbane, in February 2013. I’m looking forward to a year of doing sound for cool animation projects. Last night was spent in the recording studio with my favorite voice actors Robert Zosars, and Oscar Roberts. 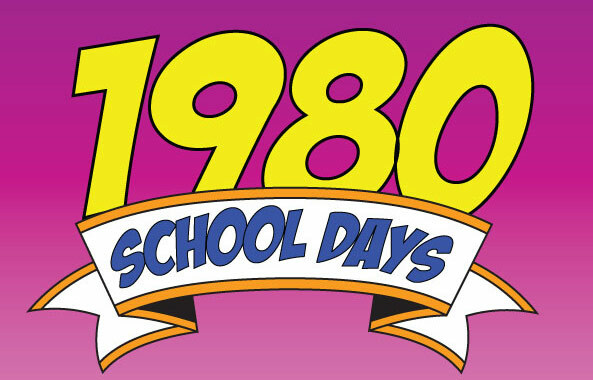 We were going back to the 1980s for an animation project by Shaun Beaumont called 1980s SCHOOL DAYS! Stay tuned for the completed animation to be released later this year, featuring 80s fanatics DeLaCruz on the sound track. Curious about the animation process? 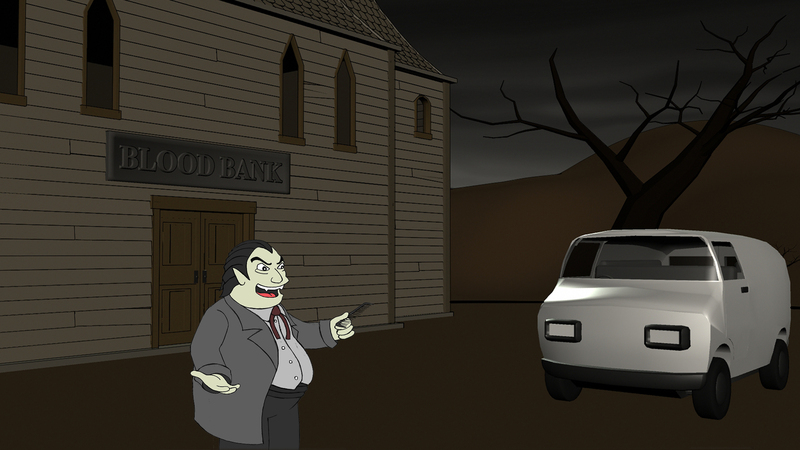 Check out Shaun’s animatic here. It’s like an animated sketch or storyboard that helps get us all on the same page, so we can collaborate and talk about sound.